Something about military green and the shades that co-exist with military green like camel, beige, black and white suggests confidence and style. The coming Fall/Winter 14 collections to be delivered into store soon are inspired by these beautiful rustic tones. 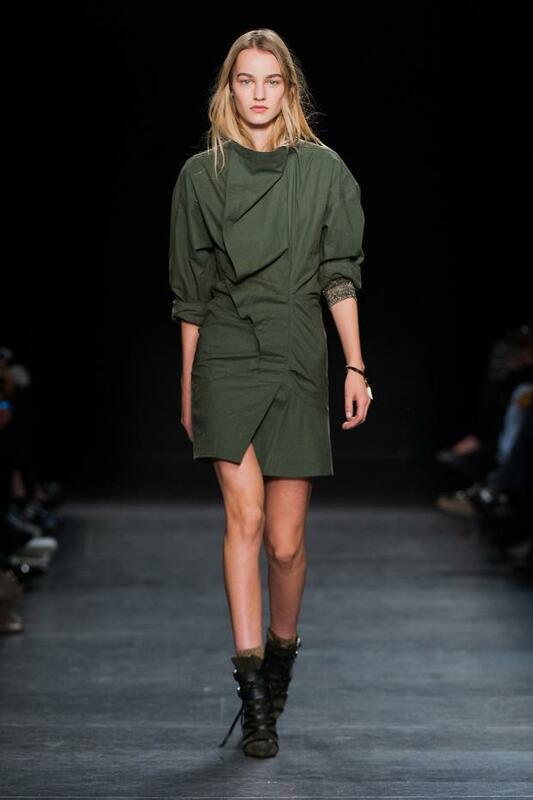 Below is Isabel Marant’s take on Military. Whether it’s a military jacket over a white singlet or baggy military pants its an effortlessness that can be worn with a heel or boot and still command. It is a color that Italians love and worn by bronzed Italian women it is very exotic. Below is a look from the AW14 Max Mara collection about to hit stores. A Beautiful brand that captures the contemporary women with elegance and style. Known for its premium quality and Italian tailoring. Still loving the collections of N.21 by Alessandro Del Aqua. Above is a military jacket from the FW14 collections. More Chicfindsinfashion to come soon!